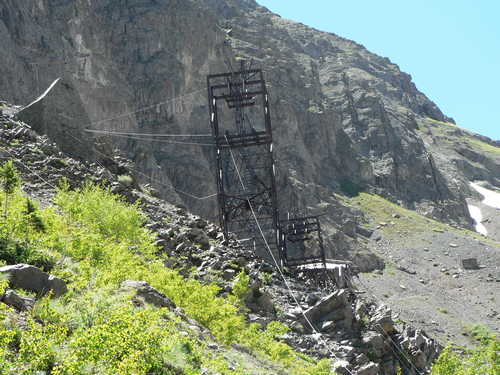 From the well-preserved Mayflower Mill just north of Silverton, across the Animas River, and up into Arrastra Gulch, threads a still-standing aerial tramline, complete with swinging ore buckets suspended in time—all that remains of one of Silverton’s greatest mining operations of the 20th century. The Mayflower mine has interesting stone work and steel tram towers. Easy Jeep trail. 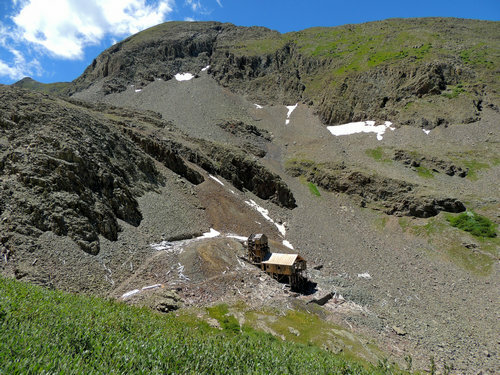 Ore from this area was processed at the Mayflower Mill on the Animas Forks road. 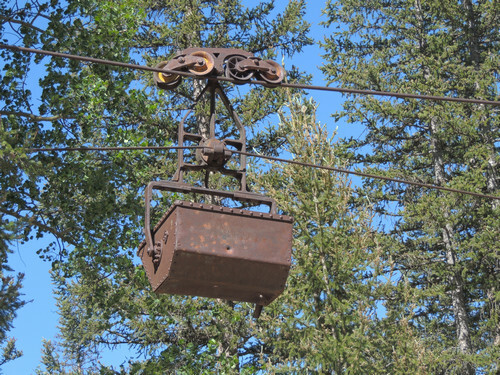 It was transported by ore buckets on an aerial tramway. 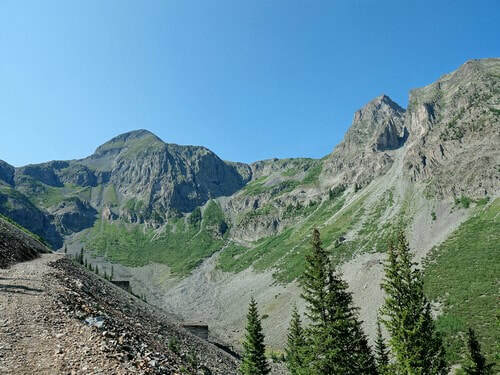 The road up to Mayflower Mine is beautiful and quite easy, although the upper part is somewhat steep and loose, and might be intimidating to novice drivers. 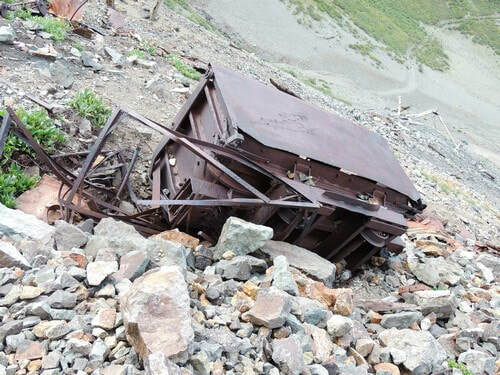 There is a lot of mining debris at the end of the road, including a couple old ore cars. 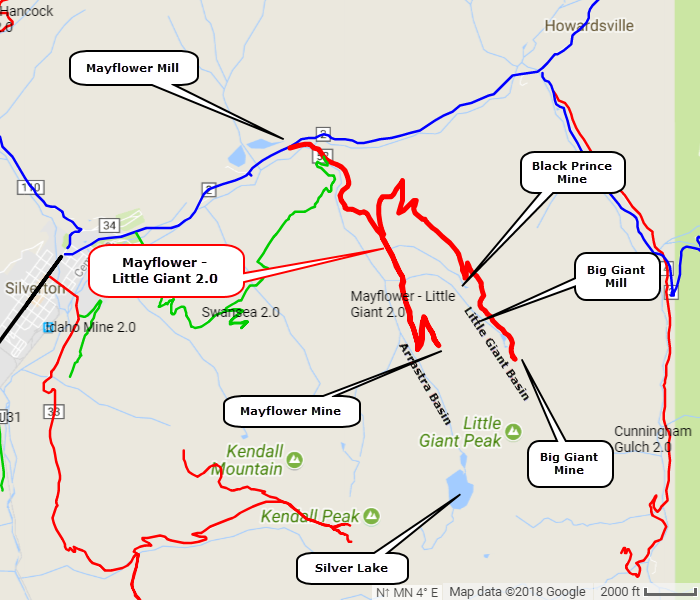 ​Mayflower Mine and Mill are very impressive, but much more development took place in the upper reaches of Arrastra Basin, near Silver Lake above what is visible from Mayflower Mine. Read about it on 4X4Explore.com. Turn around at Mayflower Mine and head back down the hill. Turn right and head up into Little Giant Basin. The first thing of interest is the Black Prince Mine and Mill. 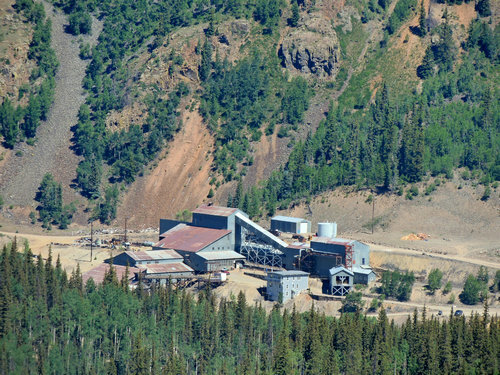 The mine had only initial success, but the mill continued processing ore from other mines in the area. ​The Big Giant Mill and tram station are a bit farther up the basin. This mill is well below the actual Big Giant Mine, which is at the end of the driveable road. 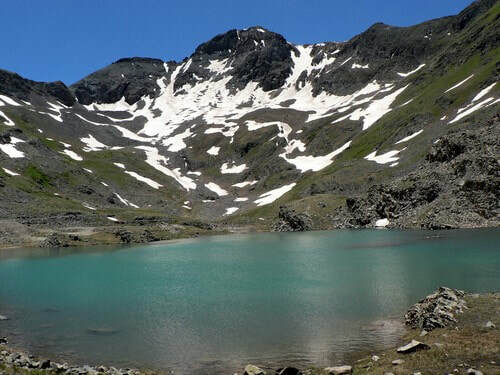 The road continues up the basin to Gold Lake, a nice lake at the upper end of the basin. 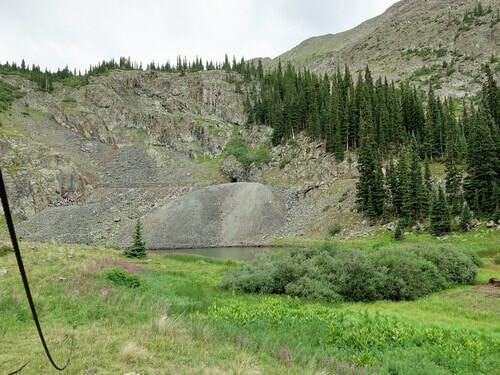 Big Giant Mine is at the end on the road just beyond Gold Lake. 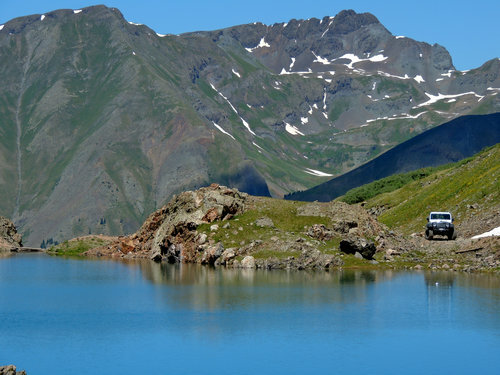 ​Read the interesting history of Little Giant Basin at 4X4Explore.com.